Spoiler season is one of my favorite times of the year. The part of Magic I enjoy most is deckbuilding, and spoiler season is ripe for brainstorming and testing new deck ideas. Whilst pouring over the early spoilers, three words utterly stunned me: “Destroy target permanent.” Those three words are on a two-mana instant called Assassin’s Trophy. This card will not only have a profound impact on BGx archetypes, but also on Modern as a whole. 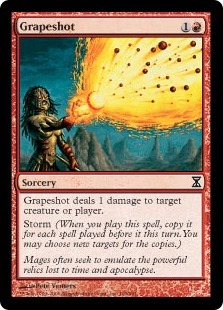 For ages people have clamored for Wizards to print catch-all answers in Modern. The argument is that the metagame is so broad that it is difficult for the fair decks to combat. 15 sideboard slots is simply not enough with the narrow answers currently available. If you want to play a fair, reactive deck, you were forced to play with counterspells. Counterspells are about as general as answers can get, as they can deal with any spell. Now with Assassin’s Trophy, BGx decks have something to turn to for their catch-all answer. I would not be surprised to see BGx decks adopt 4 copies of Assassin’s Trophy in the main. Trophy can deal with any problematic permanent. Ensnaring Bridge? Yeah, that’s fine. Tron Lands? Put it in the graveyard. Teferi, Hero of Dominaria? I’ll gladly answer that for two mana. The card even makes a matchup like Bogles far more interactive. The Bogles player will need to be much more careful with their Daybreak Coronet once Assassin’s Trophy becomes legal. Having more versatile answers in the main deck open up slots in the sideboard for more narrow, but situationally powerful, sideboard cards. Artifacts and enchantments are traditionally difficult to interact with in preboard games. As a result, sideboard cards are reserved for them. Due to the lack of space in the sideboard, though, fair decks prefer to play more versatile answers such as Maelstrom Pulse or Abrupt Decay. 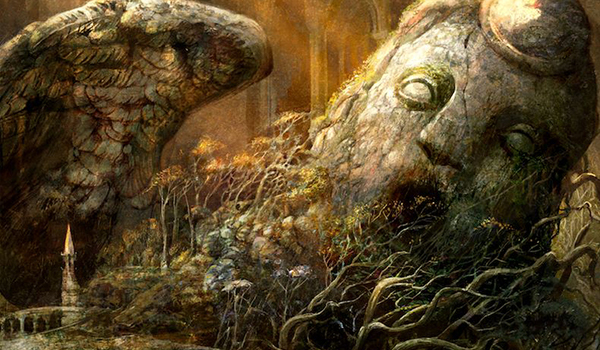 With four answers in the main deck, sideboard cards can shift from versatile to focused. Something like Abrade is a good example. It comes in when you just need another removal spell, and/or when you need to destroy artifacts. With Trophy that type of card is in the main now, and the deck can instead play more hateful cards like Creeping Corrosion. A card that I think will be key to Assassin’s Trophy’s success is Surgical Extraction. By combining these two cards, it will be easy to pick apart strategies that rely heavily on one or two permanents for their deck to function. This importantly extends to land-based decks like Tron and Valakut which traditionally have a favorable matchup against BGx decks. Expect to see Surgical Extraction become a mainstay in the sideboard. I am really looking forward to trying out various builds of BGx decks. I plan to start with either straight BG or a Jund Bedlam Reveler build. I would stay away from Death’s Shadow in my Assassin’s Trophy decks. It incentivizes you to build your deck with few basics and with high mana efficiency to get a mana advantage. In a Modern field full of Field of Ruins and Assassin’s Trophies, I want to be running multiple basics to punish these type of effects. Casting Assassin’s Trophy and pushing a mana advantage are at odds with each other. The downside of giving your opponent an untapped land undoes any sort of mana advantage the deck may have gained. I really like straight BG, with no third color, as a home for Assassin’s Trophy. It allows you to play with a ton of basics and the full 4 Field of Ruin. This decklist is even a little basic land-light. It could play a few more if one wanted. My overall approach to building with Trophy is to play efficient threats and ways to recoup the card disadvantage inherent to the card. Cards like Tarmogoyf and Tasigur, the Golden Fang are good at presenting a big clock on the cheap, while Tireless Tracker and Dark Confidant are powerful ways of generating card advantage. Tasigur in particular is going to be key to the deck. It is both a cheap threat and a way of generating card advantage—hence why I am playing it over Gurmag Angler. Much like with Path to Exile, I don’t want to be firing off Assassin’s Trophy in the early game. I want to save it for more difficult-to-answer threats and for later in the game when the downside of giving the opponent a land is less pronounced. To compensate, I want to fill the deck with plenty of answers for cards in the early game. I could see playing some number of Dismember alongside Fatal Push to further this plan. As for the discard spells, you could skew them in favor of Inquisition of Kozilek based on this principle, as the life loss from Thoughtseize becomes slightly more relevant and its versatility is less necessary. Mishra’s Bauble may seem a little odd in this list. I mainly include it as I believe it to be one of the more powerful cards in Modern, and it helps fuel both Tarmogoyf and Tasigur, the Golden Fang. On top of that, the deck already wants to be playing Field of Ruin and a pile of fetchlands to synergize with Tireless Tracker. These cards can be combined with Bauble to turn it into a free Opt. The thing I like most about straight BG is that it might have a favorable matchup against Tron. Traditional BGx decks fold to Tron. A major reason for this is that on the draw the available land disruption either costs too much or would set the BG deck too far back. With three-mana Stone Rain effects like Fulminator Mage, Tron is able to set up turn three Tron on the play and play a big threat before the land disruption can be deployed. With something like Ghost Quarter on the draw, it would leave us on one land while they get to continue to develop. A two-mana answer changes all this. Now if they lead on two different Tron lands on the play, we can blow one up with Assassin’s Trophy on turn two and follow that up with a Field of Ruin on turn three. Combine these pieces of disruption with Surgical Extraction, and it is going to be rough ever assembling Tron. I started playing this brew shortly after Bloodbraid Elf was unbanned. I really like the Mardu Pyromancer shell of Bedlam Reveler, Faithless Looting, and Lingering Souls. It is a very effective card-advantage engine, and makes the deck more consistent by smoothing out mana screw and mana flood. My main issue with the deck is its inability to apply pressure in unfair matchups. To solve this I wanted to combine that shell with green to get Tarmogoyf and Bloodbraid Elf. Both cards are effective at pressuring, and Bloodbraid Elf is another source of card advantage. I thought this deck was very good at the time I was playing it. Jund and blue decks were everywhere, and it is very favorable against those decks. The deck has too many sources of card advantage to grind through, and Faithless Looting makes it so the deck almost never floods in the late game. Those two components make for a strategy difficult for any fair deck to work its way through. If the printing of Assassin’s Trophy causes a rise in BGx decks, this deck would be a great choice. The biggest drawback to this deck is its big-mana matchups, namely Tron and Valakut. I am excited to pick this deck back up again now that it has a two-mana answer against Tron. The deck still needs some amount of land destruction in the board to compliment them, as it does not have access to Field of Ruin, but the matchup might be winnable now. Notably, I am opting to play sorcery-based land destruction over Fulminator Mage. When playing with Bedlam Reveler, it is critical to keep in mind the number of non-instant, non-sorcery cards in your deck, and make sure not to cut too many of them in sideboard plans. There is a lot of excitement about Assassin’s Trophy, and BGx is one of the much beloved archetypes in Modern. As a result, I expect to see a sharp upturn in the number of BGx decks being played, with Assassin’s Trophy seeing play in high numbers. Losers in the Assassin’s Trophy metagame are permanent-based combo decks and big-mana decks. I would stay away from combo decks such as Krark-Clan Ironworks for a while. The mixture of hand disruption and ways to deal with a resolved Ironworks makes things very tricky. As for Tron, it is still possible that even with the addition of Assassin’s Trophy that the matchup is still favorable, but I am not confident about that. I would stay away from the deck initially as people will have it on their minds when constructing their sideboard. Maybe as the metagame shifts and the number of Fulminator Mages trend down in sideboards, Tron can see play again. Decks playing Valakut, the Molten Pinnacle are also in a tough spot. The plan of running out a Valakut and playing Mountains to kill the opponent over the course of a few turns gets much worse against Assassin’s Trophy. Even though I generally think Scapeshift is much worse than Through the Breach, I would move towards more Scapeshift-focused builds as a way to combat Assassin’s Trophy. Winners in the Assassin’s Trophy metagame include decks that are good at grinding, and spell-based combo decks that are resilient against the kill-any-permanent spell. If I wanted to play a fair deck, I would look towards something like Mardu Pyromancer as it has a powerful late-game engine to outgrind BGx decks. As for combo, I would consider Storm or Ad Nauseam. A pile of kill spells does not really interact well with the stack, and Storm is resilient enough to beat a couple hand disruption spells. Ad Nauseam is one of my favorite decks in Modern, so I may be a bit biased on this one. Traditionally Thoughtseize is pretty good against a deck trying to assemble two specific cards in hand, but without a clock to back it up sometimes it is not enough. That said, if Humans continues to take up a significant portion of the metagame, I cannot recommend anyone play this deck. I am eagerly looking forward to what the rest of spoiler season brings. With a card as impactful in Modern as Assassin’s Trophy in the set, any other Modern additions are just extras. I think there are a few that may break out into Modern. I am excited to do some brewing with a few of them, but for now I’m going to keep it a secret as to which ones. Does trophy make any difference to sultai or abzan? Sultai can snapcaster it: abzan is already on path to exile (is that synergy or nonbo? Unclear). How does it affect kci and ensnaring bridge strategies? They already had decay/pulse/kcommand to deal with – so inversely I guess the question is does trophy flat out replace decay/pulse in any deck looking for those effects? Implications for kcommand are less obvious since it really does a different thing; but being maindeck artifact hate was certainly a good part of its value. I think there are two other cards that along with trophy will warp modern: unmoored ego and knight of autumn. These 3 cards represent efficient versatile answers to moderns weirder angles of attack. Tron, valakut, bridge, bogles lose a lot of their edge when these versatile/maindeckable answers come out to play.